Ever since Nadia Khan has stopped hosting morning shows, she is seen criticizing the format of the morning shows nowadays on different forums. This time when she was invited by Fiza Ali on her show on GNN, she said that the latest trend of confining women’s topics to a few domains is a complete disaster. She also said that those people who say that these foolish topics get them ratings are also wrong. 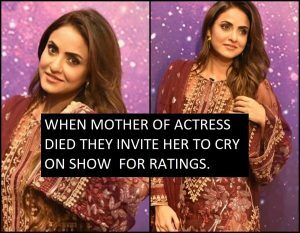 Nadia Khan said that nowadays the hosts ask such silly questions and when someone’s mother dies they invite that celebrity to the show which is even more foolish. Nadia Khan said that the hosts are no longer interested in finding out more about celebrities. She said that morning show hosts get ratings from making celebrities cry which is really annoying. Nadia Khan shared that when she was hosting morning shows she used to ensure that there was some educational aspect to the show but nowadays morning shows are useless because they do not want to educate. Fiza Ali also criticized the way morning show hosts conduct these shows.